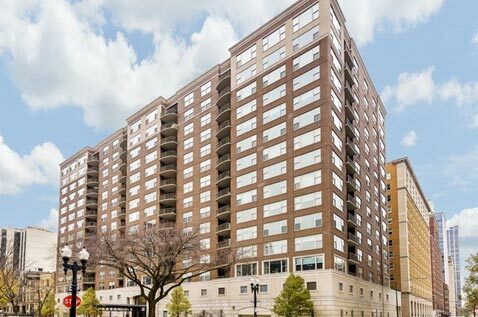 "1301 N Dearborn, also known as The Whitney, is a highly desirable Gold Coast condo building with only a few units turning over in the past couple of years. Despite being built in the 1990s, the architecture of The Whitney fits in well with the rest of the Gold Coast neighborhood." 1301 N Dearborn is a desirable Gold Coast condo building on a pretty block in the neighborhood. The building is located directly across the street from the Three Arts Club building which now is the home of Restoration Hardware and a highly rated restaurant. 1301 N Dearborn offers 84 units with a number of different layouts. The location of The Whitney allows for residents to experience the best of the Gold Coast, while also having Lincoln Park just a short 10 minute walk away. Building amenities at 1301 North Dearborn include a large rooftop deck, fitness center and 24 hour doorman.